Note: All these items come from Etsy and I get a small commission if you buy anything after clicking through from my blog. 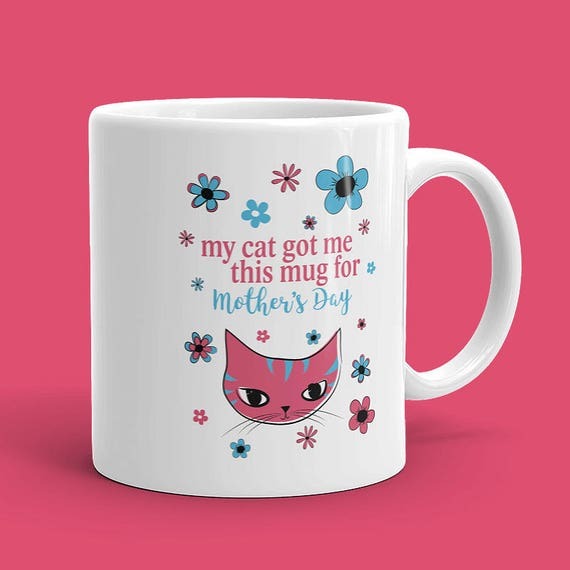 Mothers Day Gift Guide for Cat Lovers, 2017 Edition! This sweet bracelet includes an antique silver plated cat, antique silver plated Mom, plus a silver plated initial and Swarovski crystal element birthstoneÂ â€” totally personalized for your human. The simple design will go with almost anyone’s style. 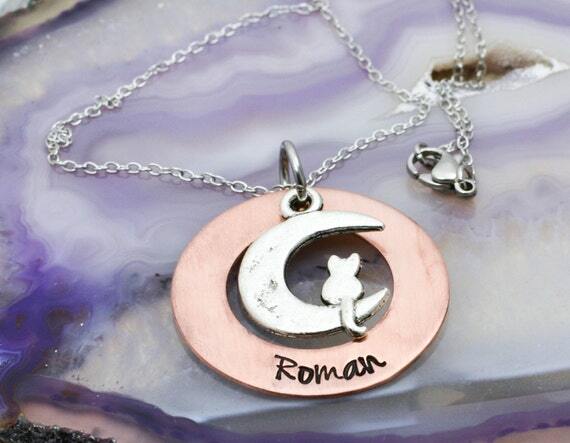 This lovely pendant has an antique silver plated pewter cat silhouette and moon charm, surrounded by a thick copper washer stamped with the name or short phrase of your choice. You also have your choice of chain lengths, and you can add a fishbone charm… or an angel wing. 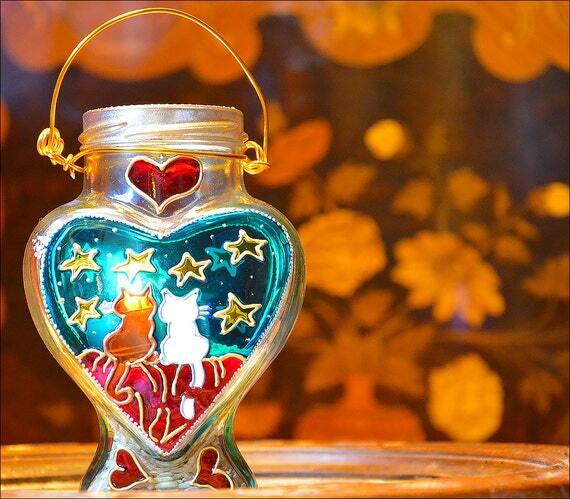 This adorable heart-shaped, painted Mason jar features two cats dreaming under a starry sky. It’s a little over 5″ high and totally charming! If you have a human who knits or crochets, she will fall in love with this bowl! It’ll keep her yarn in place as she works while reminding her of you always. If you have a human with a green thumbÂ â€” or even if her thumb is not so greenÂ â€” she will love this cute little planter. 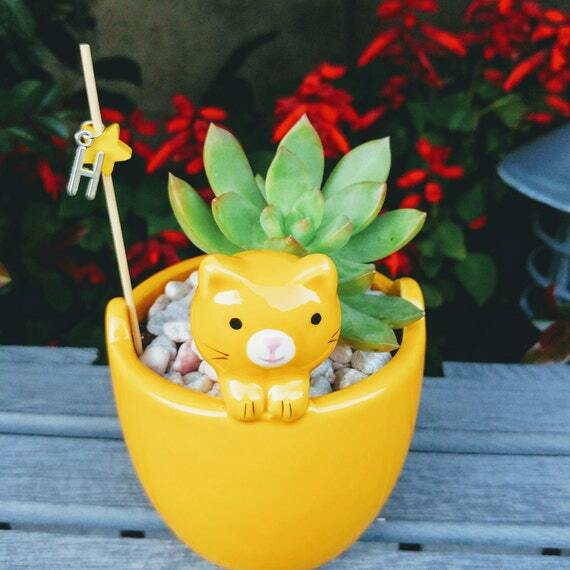 It comes with a cute little succulent plant, and they are pretty hardy! You can choose to have the elements (plant, rocks, soil, charm and pick) sent for your human to assemble herself, or you can order it already assembled. Or you can order just the pot, and your human can plant whatever she desires. Is your human expecting a new family member? Like a human one, not another kitty? Well, this fun t-shirt will be perfect for her! 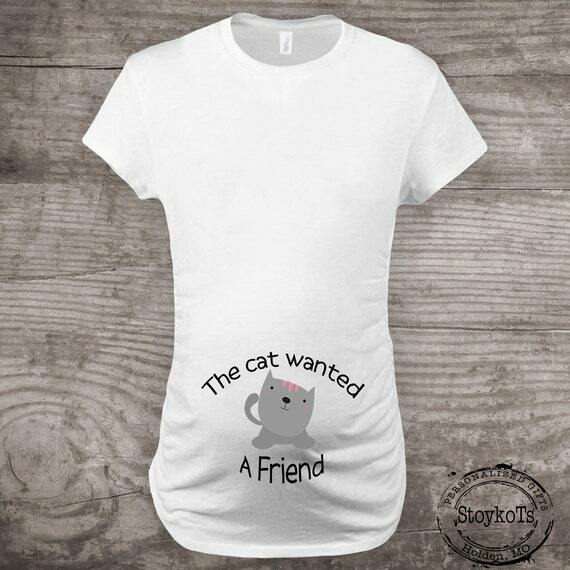 It also comes in non-maternity sizes if your human hasn’t told anyone yet and wants a unique way to make the announcement. 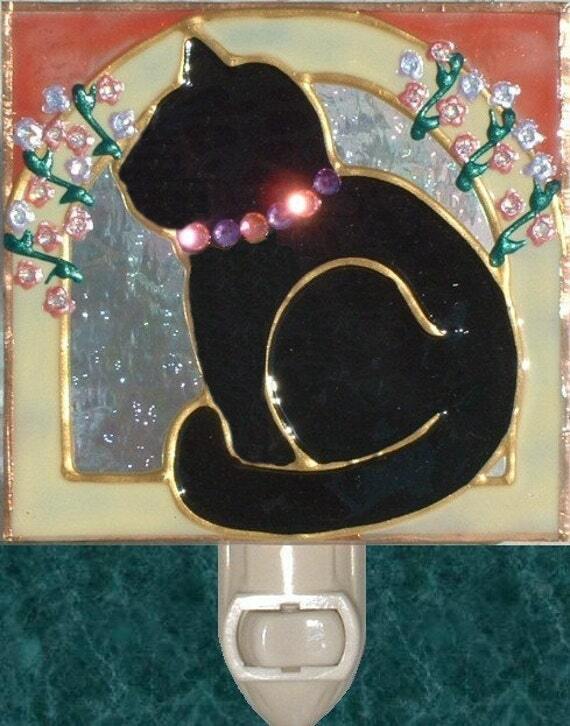 This pretty night light can be customized in a lot of different ways! You can have an all-black cat, or one with a white belly, and you can choose from many different colors for the corners. I think this is one of the loveliest night lights I’ve seen. Let Japan’s Lucky Cat hold whatever you want to keep safe… whether it’s your keys, coins, soap, or even use it as a spoon rest. This catch-all was created through an elaborate processÂ â€” you will have to read the description to see! The result is a dish that is as beautiful as it is useful. 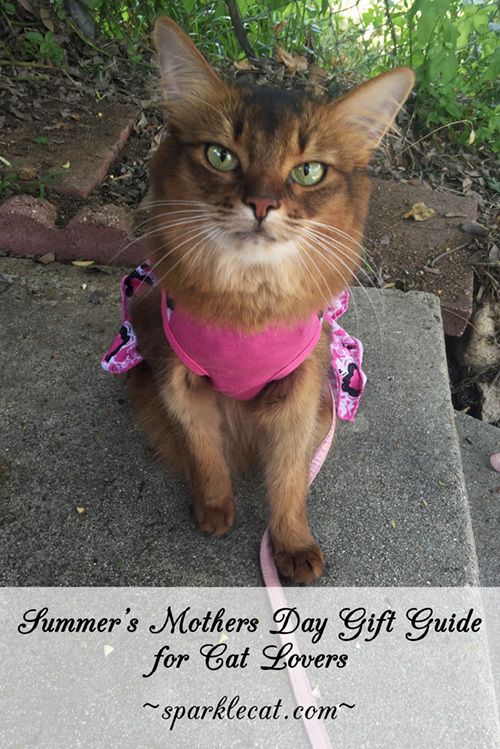 I hope you liked this year’s edition of my Mothers Day Gift Guide! Those are some really charming gifts! They would be nice as birthday gifts too, or just ‘because’! We love all these suggestions, Summer! 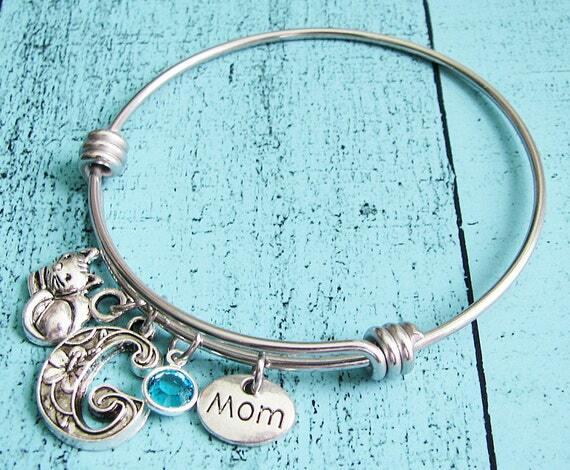 What great Mother’s Day gifts! That night light is pawsome. I don’t buy TW nothing. She’ll have to work on that day. Very nice choices! I’ll have to let my girls know they should get me a mug! Those are all so cute! We like the planter the best although our mommy has a black thumb. These are awesome finds, Summer! You could sell just about anything … anyone who doesn’t melt in your presence has something SERIOUSLY wrong with them! Great ideas, Summer! I think my mom needs the glass nightlight ’cause it is a chat noir like me. And she will be less likely to accidentally step on my tail when she gets up in the middle of the night to use the potty. Tee hee hee! Those all look like such great gifts. We like the planter the best. Those are all great choices. That yarn bowl is great. I think that the pink colored kitten on the mug is very cute!! You put together the BEST gift lists! We love Etsy, and love to support the small business owners on there. The maternity shirt is just so cute! Those really are nice and hopefully I will remember to come back here since there is something I want to buy. Thanks pretty Summer! Cute stuff! I love the yarn bowls; I’m using an old Fiestaware pitcher…yarn out the spout! MOLMOL the cat wanted a friend…that was funny. Each item is very pretty. Wow, Summer. You picked out a great group of items. The mom says she would love any of these. I do! 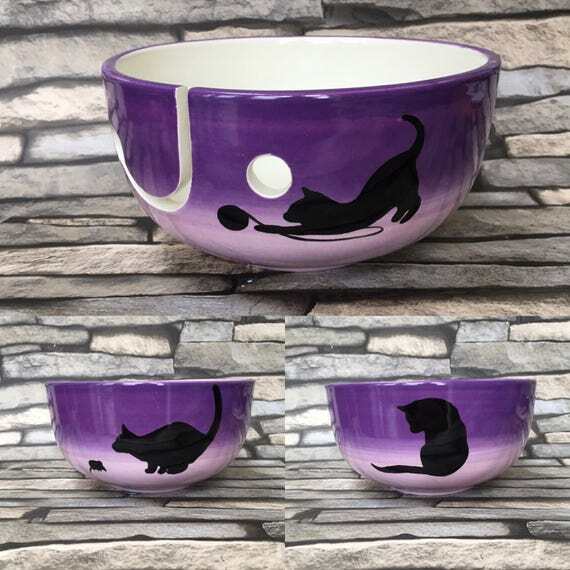 I may get that yarn bowl for a friend!!! There is some really great stuff out there! We are going to have to get shopping for Mom. Thanks Summer! Those were pawsome gift ideas. Those are super gift ideas!! Thanks for showing them to us!! So many great gifts! Thanks for sharing with us! Our favourite item is the last one!! 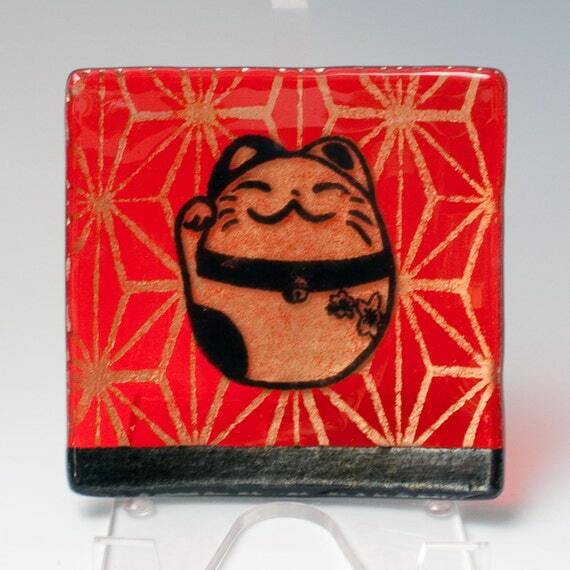 #1 loves glass and of course, Maneki-Neko! Those are soooooooo cool!!!! Thanks Summer.